Written by Nicole Kohler on January 27, 2017 Blog, Email marketing. We’ve shared our learnings with you in the past, like when we sold tickets online, what happened when we tweaked our holiday sales, and tproducing the content for this blog. From the feedback we’ve received on these posts, it’s clear you not only love the glimpse behind the scenes, but also learn a lot from how another business handles marketing and growth. That’s one part of this. Also, we already review the emails we send. Up until now, however, we’ve only been sharing that information internally. There’s no reason we can’t make those learnings public. It’s not as if we’re using any top secret marketing methods or proprietary tools. So we figured, hey — let’s take what we’ve learned and turn it into a post! No reason to keep what we’ve learned to ourselves. The one caveat, which needs to be said every time we share advice like this: what works for us won’t necessarily work for you, because every store has different products, customers, and its own niche. But it’s still worth trying, especially if you’re struggling to find success with your current approach to email. Ready to learn? Let’s get started with our biggest takeaway, which relates to subject lines. One of the things we like about MailChimp (our email platform of choice) is that it gives you the option to test multiple subject lines against one another to see which one gets the same email opened more. And even if you don’t test subject lines, you can still easily see an email’s open rate and hypothesize the impact your subject had on it. Over time, we found that one of the biggest ways we could get more customers opening our emails was to improve the subject lines. This didn’t mean making them catchier, funnier, or putting more emoji in them (although we do love emoji). For us, it meant making them more relevant to the audience receiving them. As an example, one of the monthly emails we send is to those who identify themselves as a developer or part of an agency. The majority of this group wasn’t reliably opening emails until we realized that links to content and new extensions wasn’t nearly as interesting to them as news about WooCommerce itself. The email we sent below had four subject lines tested, ranging from a list of updates (less than 30% opened and 4% clicked) and Storefront news (over 30% opened). Still, this doesn’t tell us much about what these subscribers want. A few months later, though, we hit paydirt: we focused the subject lines solely on WooCommerce improvements — in this case, the product gallery we plan to introduce in WooCommerce 2.7. 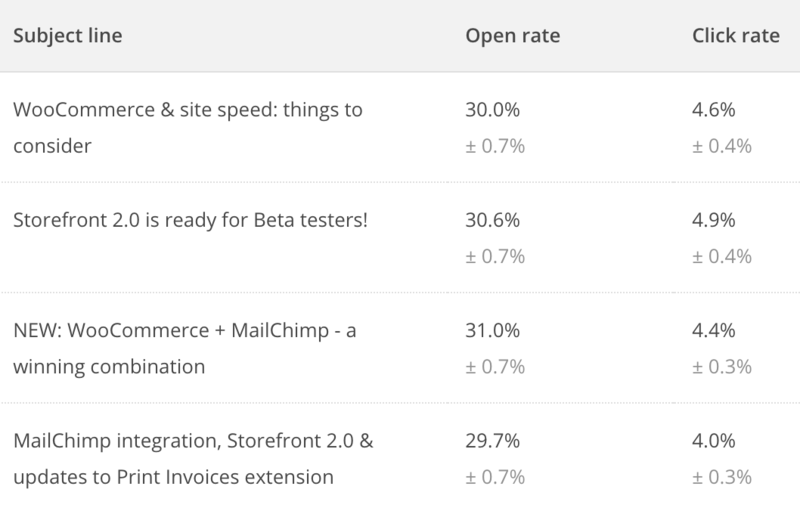 The open rate jumped to nearly 40% (and even the click rate sprang up!). If you don’t know what your audience cares about, spend some time doing A/B testing just like we have. With platforms like MailChimp, it’s not at all time-consuming to set up multiple subject lines, and you can find out after a few messages what will bring in more opens, clicks, and sales. We have some extremely talented designers here at Woo, and we can always count on them to make our emails look beautiful. From attractive promotional banners to large graphics at the top of monthly messages to simple buttons, they never fail to impress. But we always question why some of their designs don’t get clicked as much as others. Over time, we figured out why this is: because some images are more motivational than others. Here’s just one example: these are two emails both sent in November 2016. 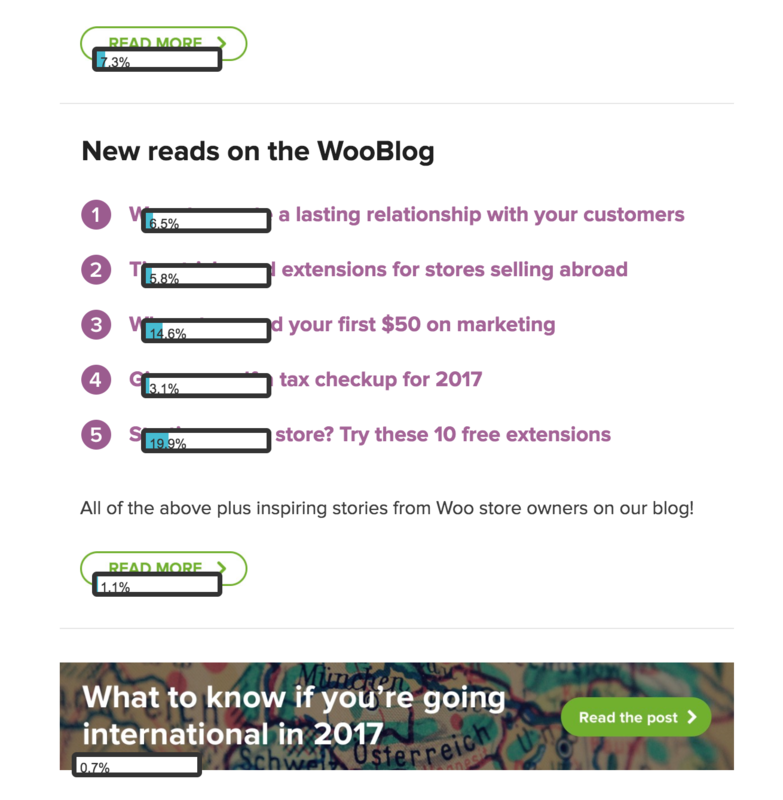 On the left is an email sent to store owners with a header image that links to our post on accessibility. 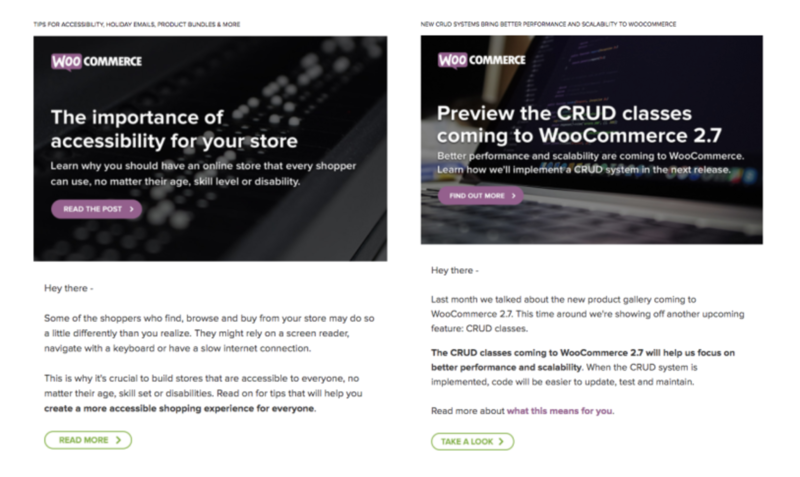 On the right is a message to developers about CRUD classes in WooCommerce 2.7. One of these emails holds a very powerful secret. Neither of these images are bright and colorful, and both talk about relatively functional topics. But the banner on the right collected 78% of the clicks from that email alone. We think that’s because this email gave its audience (developers) something they were not only very interested in (WooCommerce 2.7), but could act on (by previewing part of it). Meanwhile, the store owner email linked to a blog post — a really good blog post, judging by the feedback 🙂 but just not as actionable as what we sent to the other group. In this case, these graphics both did what they were meant to do. But one did it better than the other, and that’s something else worth thinking about: how well the images you use will motivate your customers to do something, whether it’s read a post, make a purchase, or keep up with news (as it was here). Over time, we’ve run multiple experiments with the length of our emails, both adding and removing features to see if they have any impact on how many times someone opens the same email, which links are clicked, and so on. We haven’t found any enormous differences in performance between drastically shorter and longer emails, but one thing we’ve seen consistently across all messaging is that the first few links we place in our emails will be the one clicked the most. One example of this happening: as soon as you scroll past the list of links to a banner, the click rate dramatically decreases. This was sort of a “duh!” moment for us. Since we realized it, we’ve been certain to decide, for every single email, what we want the most-clicked link(s) to be (e.g. what merits the most attention). It’s only after this is done that we move forward to designing images or writing any copy. One other thing we found with length that’s worth noting: don’t give your customers too many things to click on, especially if they’re already used to receiving concise messages. 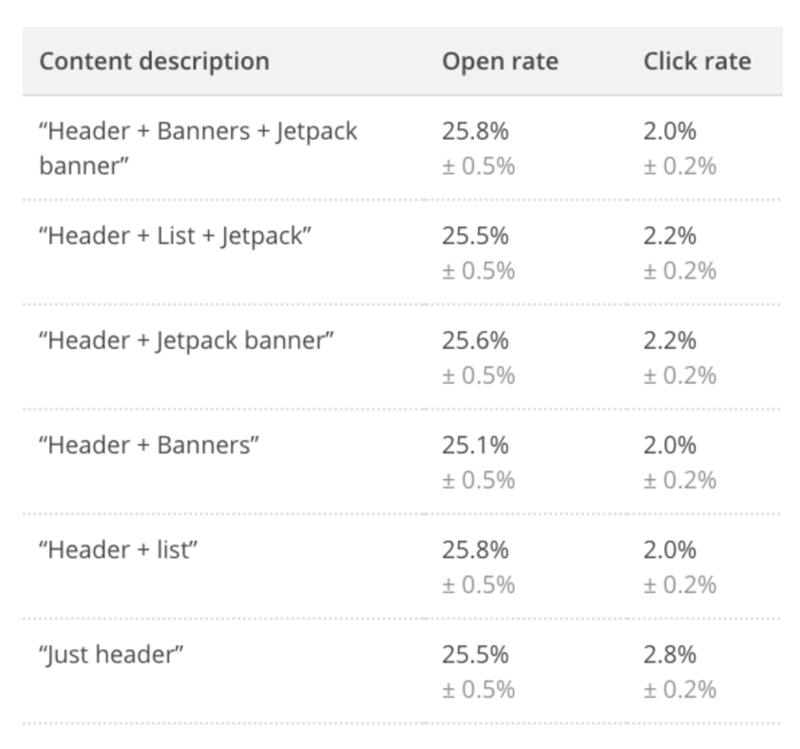 When we tested a one of our typically shorter emails with up to three additional banners and a list of links, the shortest version outperformed the others. For this particular email, recipients were used to a short digest of news — they didn’t really like having more to click on. In short: keep your emails focused. Get what matters most up front, and know that the longer your messages, the fewer clicks your content may receive. If you want everything you include to get a fair amount of attention, save it for another day (or perhaps for another channel altogether). We found that in one case, sending a numbered list of three links performed better than an “in case you missed it” format with these links in a sentence. 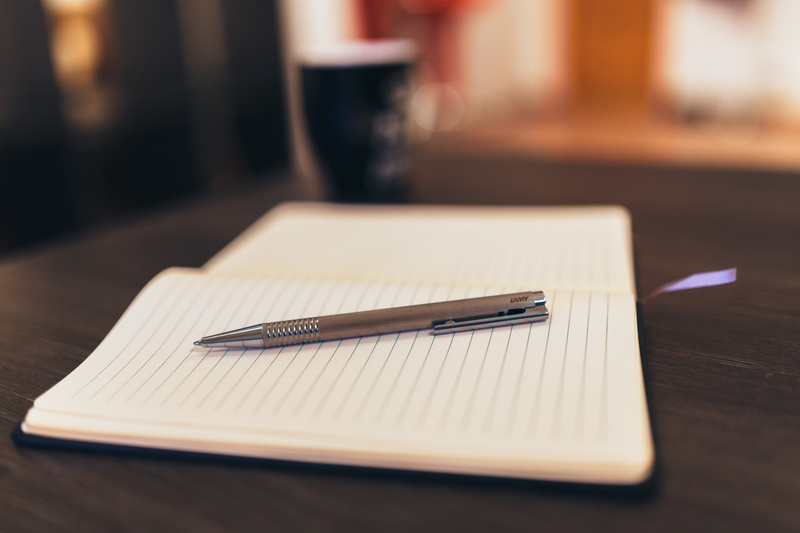 Bullet points and numbered lists make things easier to read, so use them where you can. Just as we’re doing here, bolding important text helps readers who skim pick up the most important pieces of knowledge, even in really short emails. Your eyes are drawn to the darker text, right? In a few cases, we’ve seen more clicks putting a separate clickable call to action button outside of a button that would normally have one on it (see the graphics above). But in general, we recommend playing around with where your buttons are to find out what your customers respond best to. Clearly marking something “NEW” boosts our open rates and/or clicks, likely because our customers are always eager for new extensions, releases, and the like. Plus the word gets your attention quick, doesn’t it? There you have it — a few of the biggest things we’ve learned from sending emails to WooCommerce store builders, developers, and community members. Although every store is different, we think many these learnings could be broadly applicable no matter what you’re selling. And if you’re not yet investing in email marketing, you now have plenty of inspiration to work with when you get going! Have any questions about our email marketing that you’d like to ask? Or any learnings of your own you’d like to share? We’d love it if you left a comment for us. Great info! Thank you for the tips! Very insightful post, Nicole, I agree with Laurie. My big take way is always be testing your campaigns. I am a paying customer and used to be able to login at woocommerce.com with my e-mail and password. This seems to have changed to a “Sign in with WordPress.com” solution, but I do have a woocommerce.com account already (I use for downloading updates to my paid plugins for example) and do not want to sign up with WordPress.com for this anyways? Maybe it’s just a glitch, but please have a look into that. We are a big fan of email marketing and we believe the only approach to get in touch with clients/prospects is email. Thank you for sharing your success story here. We will try to write a new one on our blog. Thanks for reading James! 🙂 Would love to see your story. Thank you for sharing your insights. This information is priceless. By the look at the image with the header “New Reads on the WooBlog” – the link with the words “….. Try these 10 free extensions” got clicked the most – 19.9%. I wonder if having the word “free” has anything to do with it. Sharp eyes Olga, and in fact this is something we have found as well! Lots of our customers are keen on saving money, getting the most for what they spend, etc. (as I think so many of us are) and you are right – when we write and send out content along these lines it does perform quite well. In fact one of the most popular posts on our blog and in our email is one we wrote about doing marketing tasks for $50 or less. The tips and tricks you shared here will be very conducive for a successful email campaign. This is indeed a great post you’ve shared with us. No doubt that email marketing is must to have for more leads and sales. I’m going to share this post with my friends! When it comes to statistics, conversions and ROI generated through any marketing channel, email marketing outperforms all, including social media. This puts to rest the debate about whether email marketing is dying. These are indeed some great experiments, Email marketing is becoming really crucial these days. great guide thanks. Great experiments indeed. It’s quite amusing that nowadays Email marketing is becoming really powerful with each passing days. great guide mate. Thanks.